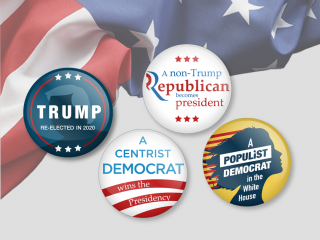 ING’s Chief Economist James Knightley has released a preview to the upcoming US midterm elections. In the most likely scenario of the Democrats winning the house and the Republicans retaining the Senate, ING’s Chris Turner believes that “there is heavy long positioning regarding the US right now, so perceptions of a more limited room for fiscal manoeuvre might trigger some mild profit-taking on the dollar and US equities, but probably not a sharp sell-off.” As for today, the main highlight for USD markets is a speech by Federal Reserve Chairman Jerome Powell (1745 BST). Despite the lack of fresh meaningful negative catalysts, EUR/USD appears to be unravelling on the back of the Italian budget story. The EU’s Commissioner for Economic and Financial Affairs Pierre Moscovici said Italy’s plan for a deficit of 2.4% is a ‘very, very significant’ deviation from previous commitments and may not be compatible with the EU’s fiscal rules. A fresh wave of EUR selling kicked in after Claudio Borghi, the lower house budget committee head, noted that Italy would have solved its fiscal problems if it had its own currency. We had noted that the lack of talk over the euro and redenomination risks may have partially insulated the single currency to the latest Italian budget risks – this is now an assumption that we’re losing conviction over. EUR bearish momentum may see 1.15 tested. Reports that Prime Minister Theresa May will make a concession on the Irish border backstop later this month – effectively allowing the whole of the UK to remain in an EU customs union beyond 2021 if there is no trade deal in place by then – have helped nudge the dial towards a Withdrawal Agreement deal being finalised by year-end. Sterling initially received a mini-boost on these reports – though the followthrough has been lacklustre given the number of hurdles that still need to be overcome. Two things remain to be seen before we believe investors will be fully comfortable in participating in a broad GBP recovery: (1) whether Brussels would be willing to play ball on a de facto extension of the transition period beyond December 2020; and (2) whether there are enough MPs within the House of Commons to support this type of deal (namely the DUP or the Brexiteer factions in the Tory Party). ‘Stay nimble’ with your GBP positions remains our message for the next few months and we continue to warn investors of the possibility of a GBP/USD recoil to 1.36-1.38. Indeed, we believe that GBP/USD can post a move above 1.40 at the turn of the year given an agreed Brexit deal, solid UK economic data and a cyclically weak US dollar. Any non-GBP related dips in GBP/USD towards 1.30 should be seen as a good opportunity for GBP bulls to go long and fade the noisy headlines. The Reserve bank of Australia made very few changes in the October policy statement today – with the acknowledgement that 2018 inflation may be ‘a little lower’ than expected the main dovish assertion. The AUD OIS curve drifted a few basis points lower as investors scaled back expectations of a 2019 RBA rate hike; this, coupled with a broadly bid USD, has seen AUD/USD move below the 0.72 level. We see 0.72 as a short-term anchor point for the pair – with equal risks of a move either side.